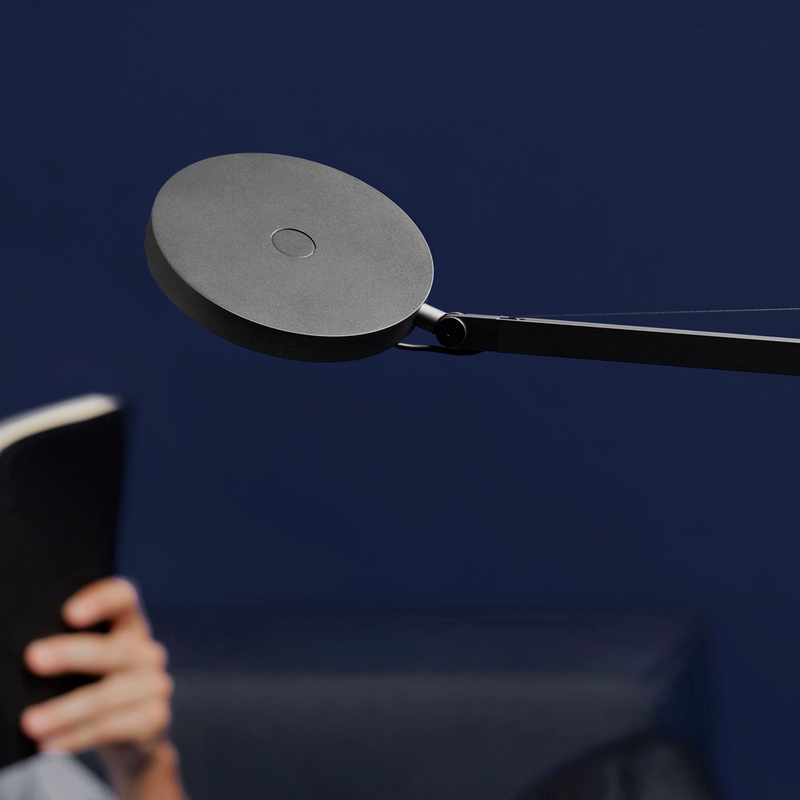 Are you looking for an accessory that combines design and functionality? 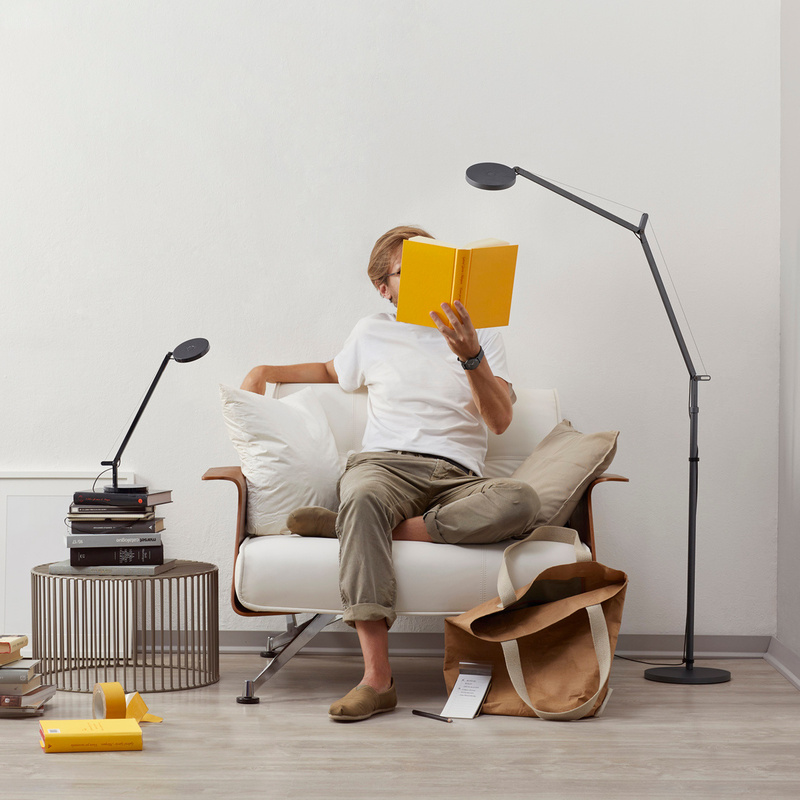 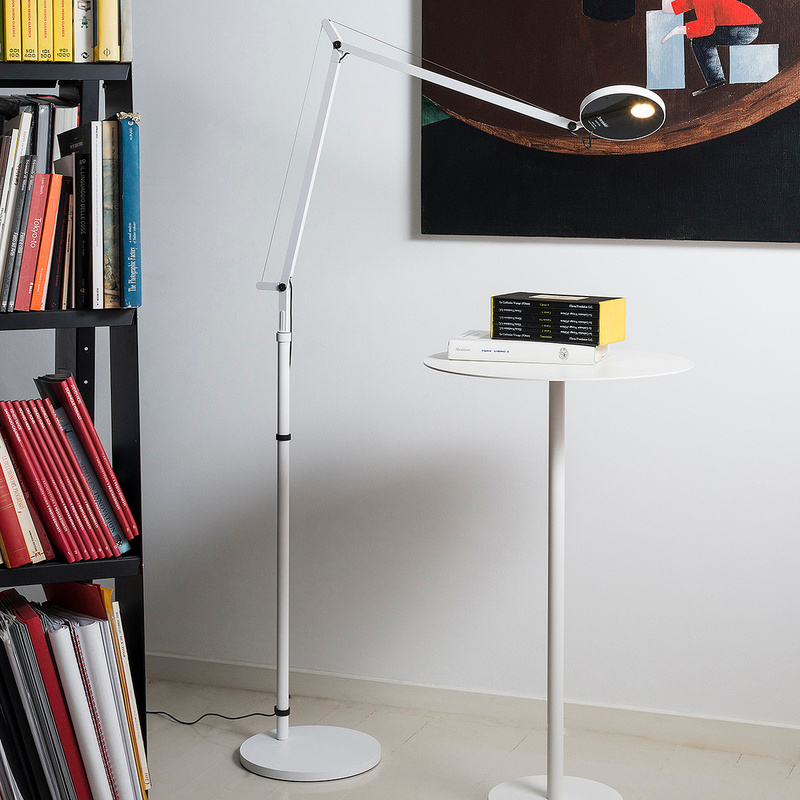 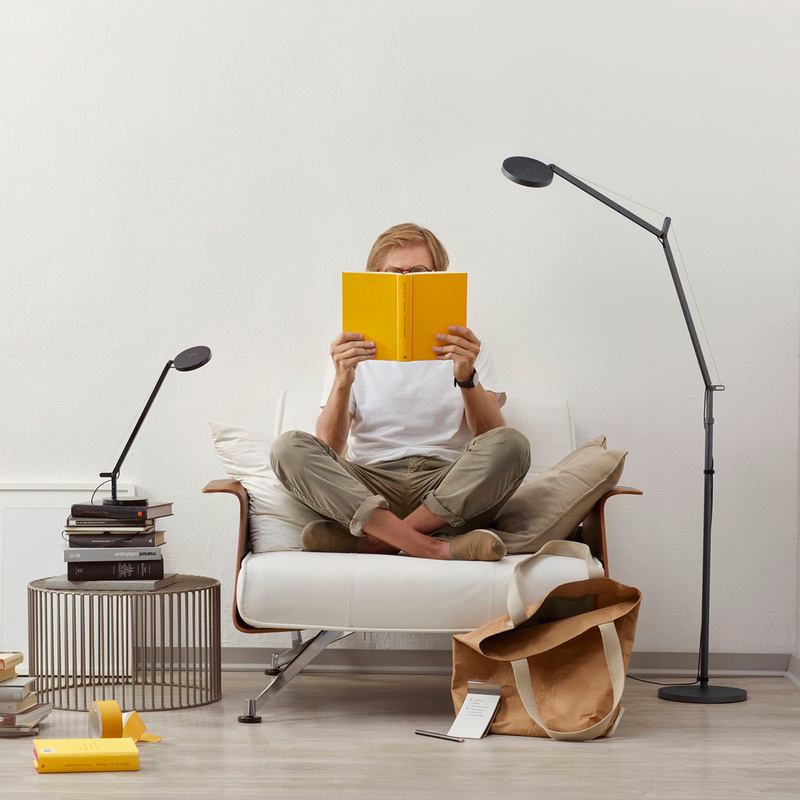 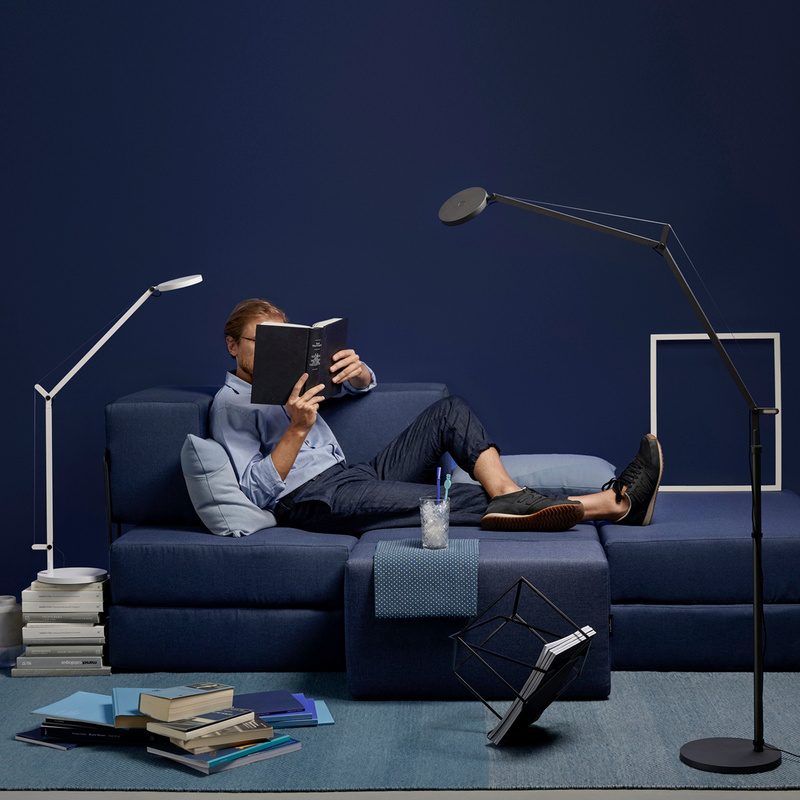 Choose the Demetra Reading 2700 k floor lamp! 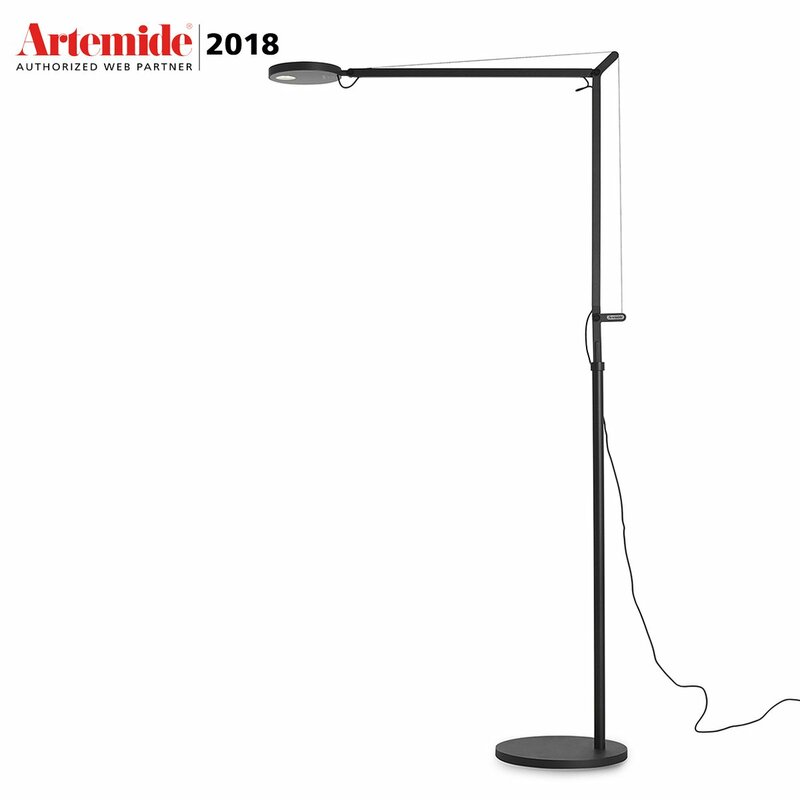 The Demetra Reading 2700 k floor lamp is a great item of furniture that can combine intense and warm lighting with a modern, minimalist design. 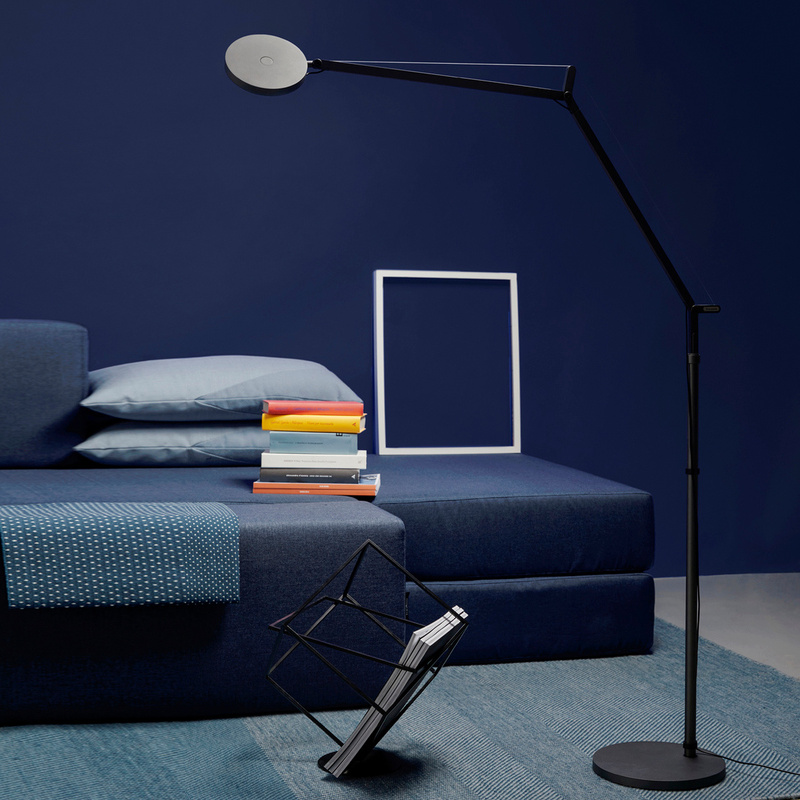 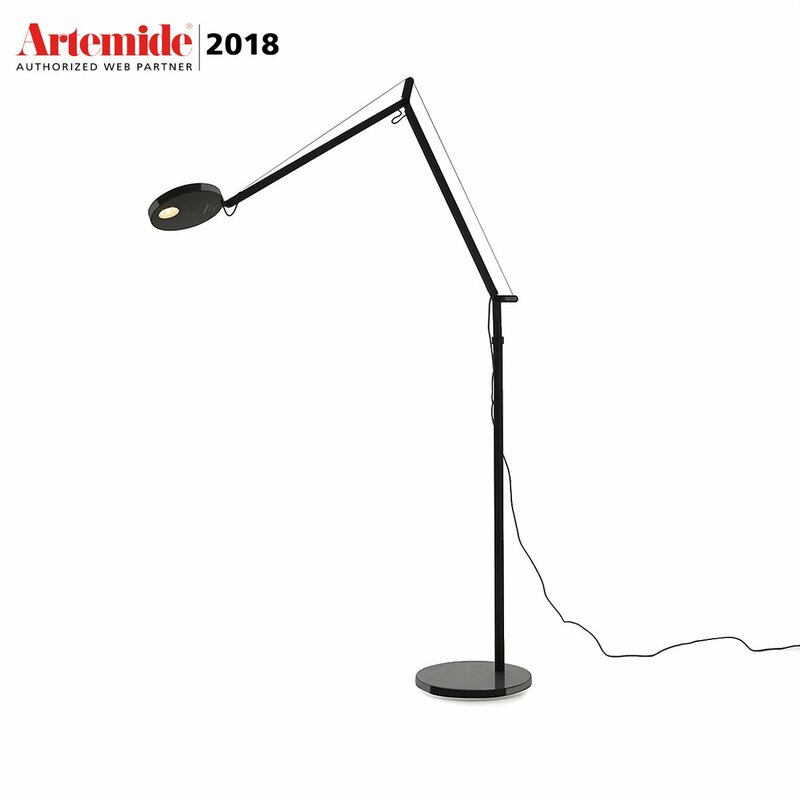 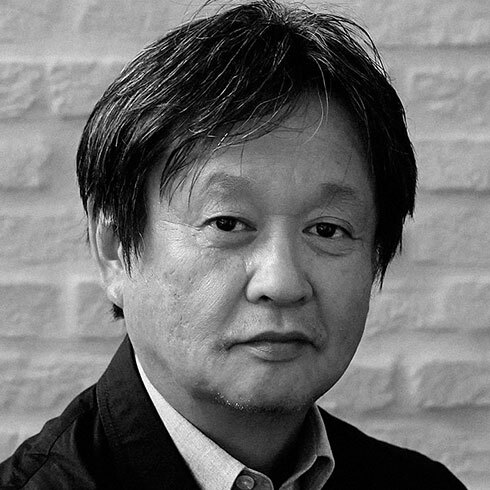 Created by the Japanese designer Naoto Fukasawa for Artemide, this lamp is part of the Demetra collection, which in recent times has seen the inclusion of new models, the Demetra Reading 2700 k floor lamp among them. 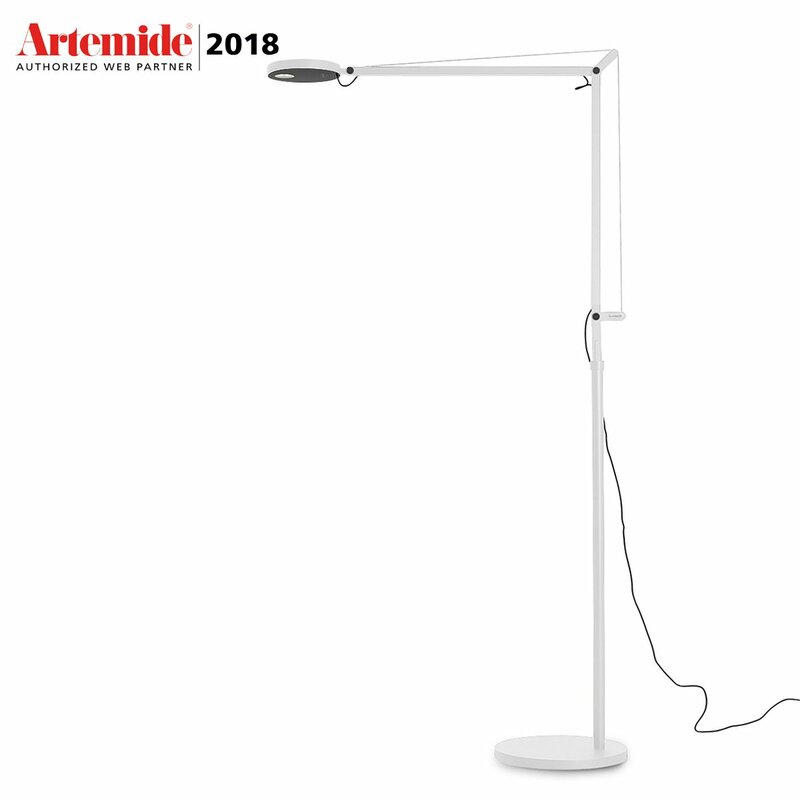 Both elegant and functional, the lamp is made with materials – aluminium, steel, and technopolymer – that have been selected to ensure a perfect mix between design and practicality as they are very resistant and ensure a proper dispersion of the heat due to the light. 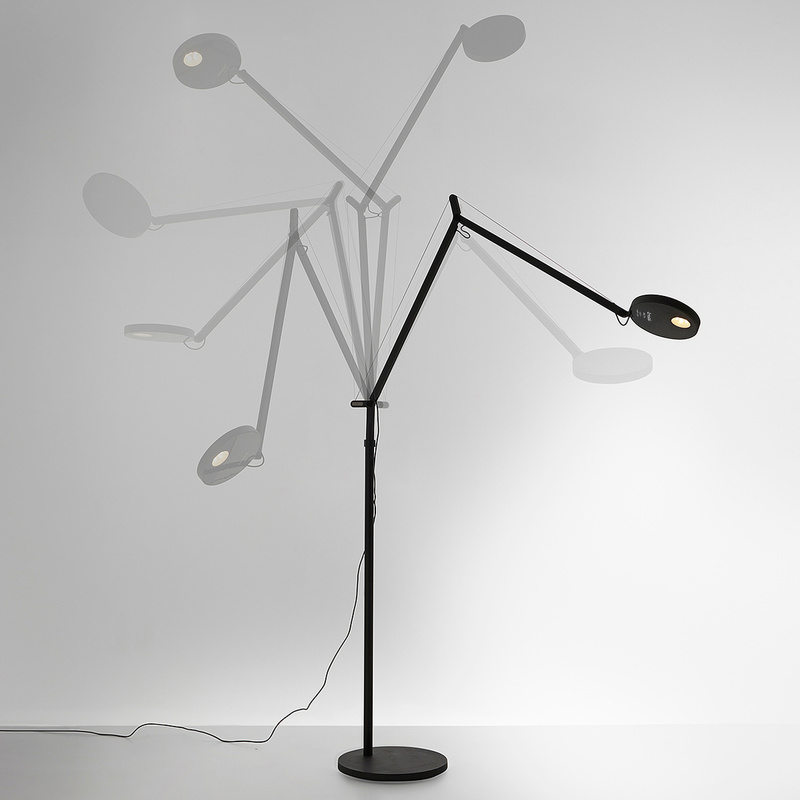 Moreover, the adjustable parts allow you to direct the light where needed. 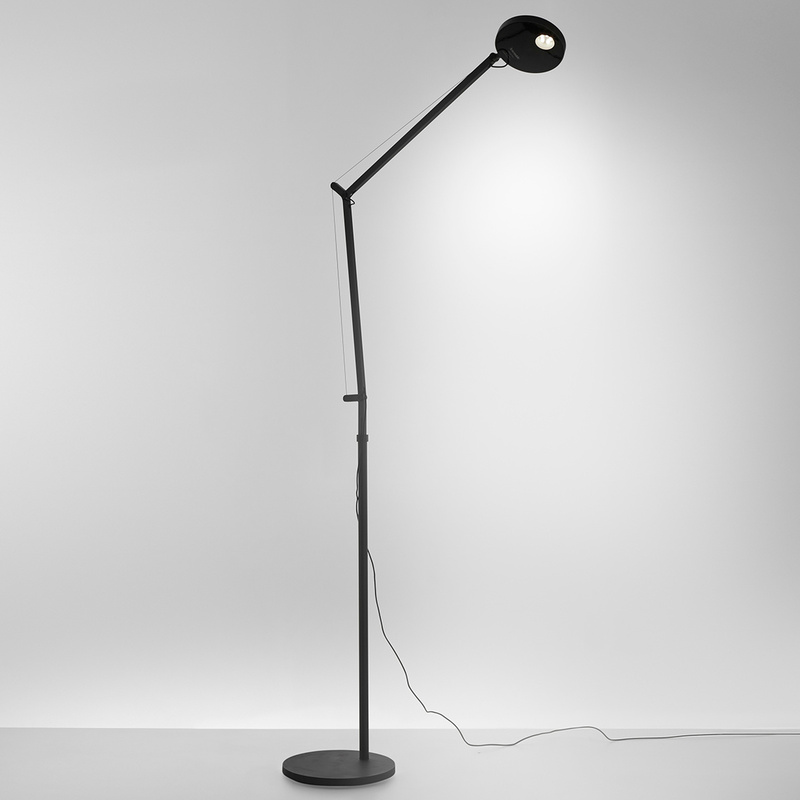 But practicality is not limited to the materials used: measuring up to 155 cm in height and 65 cm in horizontal extension, the lamp is equipped with COB LED, which allows for greater intensity of the light beam without affecting the size of the lamp itself, which can be easily turned on and off with the micro-switch dimmer. 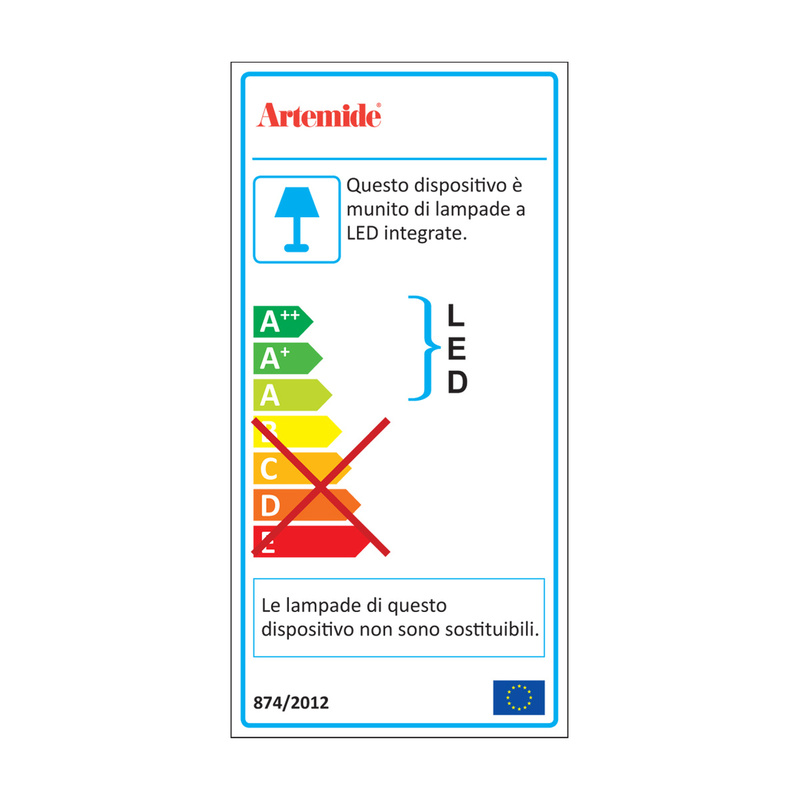 Information: 2700K integrated, not replaceable LED. 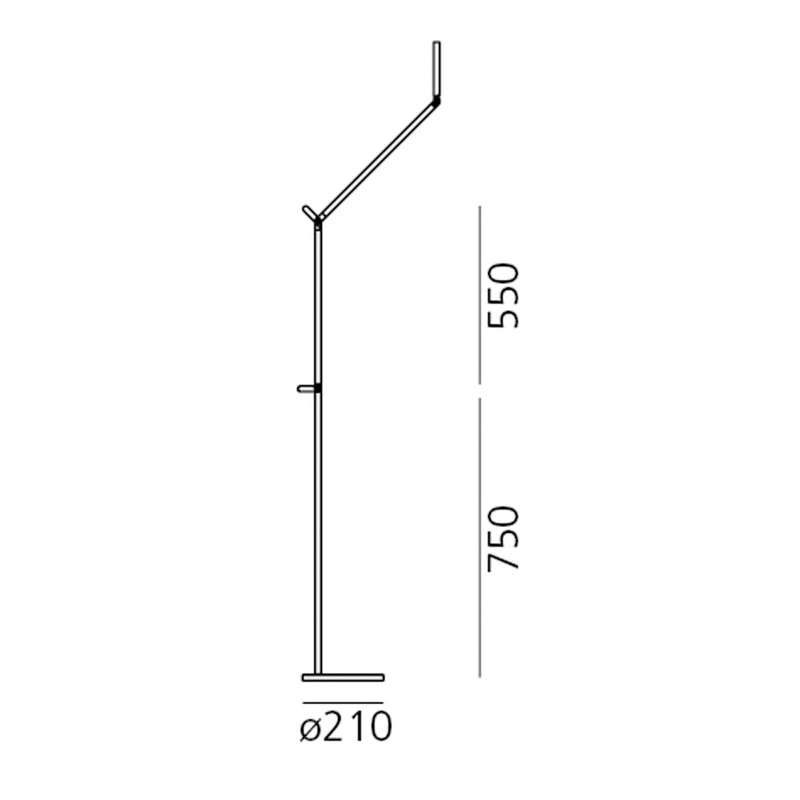 8W, 360lm, CRI = 90. 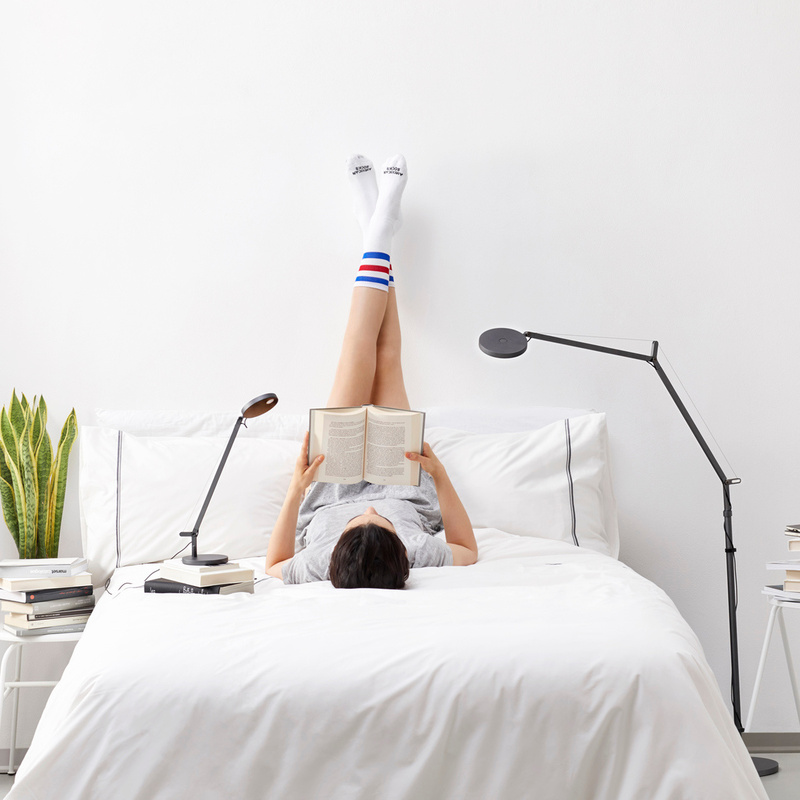 Equipped with dimmer.